new Which Starfy game should I start out with? new Favorite vocal Starfy theme? new How did you first get into the Starfy series? new What if Starfy, had an Anime? 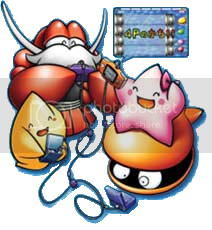 new Tose's "The Invention King"
new What Is Your Favorite Starfy Area? new Which Starfy games do you own?